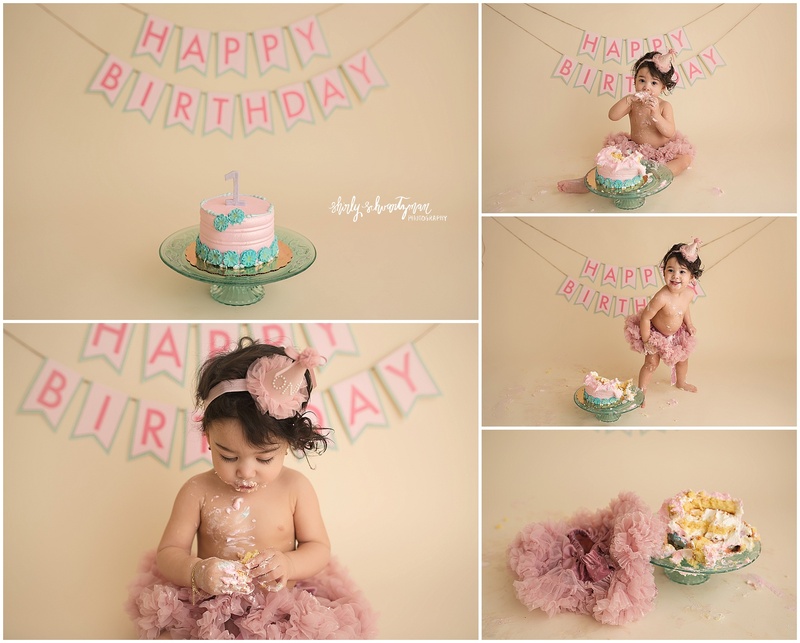 There is something happening that I am booking cake smash sessions like crazy! I am loving meeting so many new clients and seeing so many back for this great time to capture. Chloe came with her mama for her session and I loved using the yellow vintage inspired romper from Sew Whimsey. one of my all time favorite vendors. Chloe was on the go and super fast! Both her mama and I got a workout chasing her and getting her back in place to snap a few shots really quick and to chase her again! Chloe enjoyed her cake and at one point stood up and started to run away! It sure makes it tricky to grab them once they are all covered in frosting. She also loved her bubble bath with lots of smiles and splashes!